We are very excited to bring you this event, and we plan to make it the best State Championships so far! Lloyd Athletic Club is one of the premier racquet clubs in all of the Pacific Northwest. It offers six racquetball courts, including one with full glass backwall. Lloyd prides itself on their racquetball facility and continues to maintain the standards of a true racquetball club. We couldn't be happier to have their support! The Oregon Racquetball State Championships are proud to be in partnership with the Live Like John Foundation. The LLJF is dedicated to furthering the organizations that made an impact in the life of Spc. John A. Pelham. All proceeds go to the Live Like John Foundation. We will be auctioning off finer goods, vacation rentals, dining experiences, etc. We would like to ask attendees of the tournament to bring used racquetball equipment to donate to the foundation. This equipment will be given to veterans in hopes that racquetball can assist in the treatment of PTSD. Raffle tickets sold will go directly toward Junior Racquetball in Oregon and beyond. 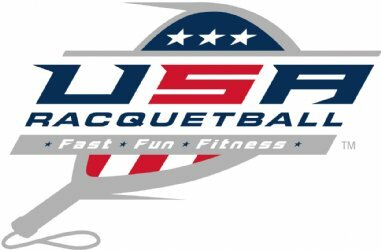 Win prizes like racquetball equipment, Racquetball clothing, Team USA gear, and much more!